How Many WordPress Plugins Should You Use? How Many is Too Many? If you want to create a blog or a website but you have little to no knowledge of how to code, WordPress is the perfect solution as you don’t need to be an expert developer to be able to put together a site which looks great and works well. How is this possible? Through using plugins on top of your WordPress theme, you can add an enormous amount of functionality simply through installing the plugin which someone else has already created for you. WordPress is an open source platform, which means there are many people all working on it all over the world. Developers from all continents can build and code plugins which are readily available for you to install onto your site to add a function you wouldn’t otherwise have. As WordPress is such a widely used and is one of the most popular content management systems, plugins are constantly being added and updated for you to download and install. There’s a plugin for just about anything you could possibly want to achieve on your website, but some people worry about adding too many plugins – will they slow your site down? Will they affect your website hosting ? In this post we will talk about exactly what plugins are, how they can affect your website and how to choose the best ones for your site. 1 What Exactly Are plugins? 4 How to Choose Good Plugins? A plugin is a package of code which extends the core functionality of what WordPress can offer. They are written in PHP programming language, making them fit in seamlessly with the rest of the code for your website and theme. A large proportion of plugins are free to use, so all you need to do it search through what is available, download it, and install it through your WordPress admin area by visiting “Plugins” > “Add New” and using the search facility. You can also visit the official directory and search or browse for a suitable plugin there. By installing plugins, you can create a website which is customized to what your main objectives are. There are plugins for improving your SEO, filtering out spam comments on your posts, caching your website, creating custom contact forms, and much more. If the main goal of your website is to turn visitors into convertors by creating a call to action where they will leave their details or make a purchase, you can use plugins to guide the user journey in that direction. You can build email marketing lists from the use of call to action plugins, and can make it easier for potential customers to contact you by putting plugins in the right places. There are also plugins which are designed to help you make your website more effective, as you can install analytics software to be able to track where your visitors are coming from and what they’re interested in when they come to your site. If you use social media to promote your published blog posts, there’s a plugin for Buffer, the social media scheduling tool, where you can integrate your website and your social media strategy in one place. Some plugins seem to be just for fun. For example, Hello Dolly was one of the first WordPress plugins to be created, and when activated it simply shows a lyric from the Louis Armstrong song in the upper right of your admin screen. The real reason behind why this plugin was created is to show you how easy it is to make your own, so if you decide to take the leap into PHP coding and developing, Hello Dolly may be a good place to start. There are currently over 55,000 plugins available on WordPress, so you have a huge amount of choice when it comes to deciding which ones you want to use. Despite having such a large pool of plugins to pick from, you will still need to make sure you install ones which won’t have a detrimental effect to the overall performance of your website. One of the biggest debates around using plugins, is whether they affect the overall performance of your WordPress website, as it has long been contested that a lot of plugins considerably slow your site down and affect the end user’s experience. The answer to this debate isn’t a simple answer, as it appears that performance issues at the hands of plugins is largely determined by the quality of the plugins you choose to install, rather than the quantity. Having many developers across the world working on WordPress plugins is great as it means as a consumer you have lots to choose from and can find multiple plugins to make your dreams a reality when it comes to building and customizing your website. However, the downside is that sometimes there will be plugins out there which aren’t very well coded. Having twenty high quality plugins which are coded well will have less of a detrimental effect than one poorly coded plugin. Quality over quantity is always best when it comes to installing plugins to your website, but there’s nothing stopping you from having multiple plugins if they’re all built well. 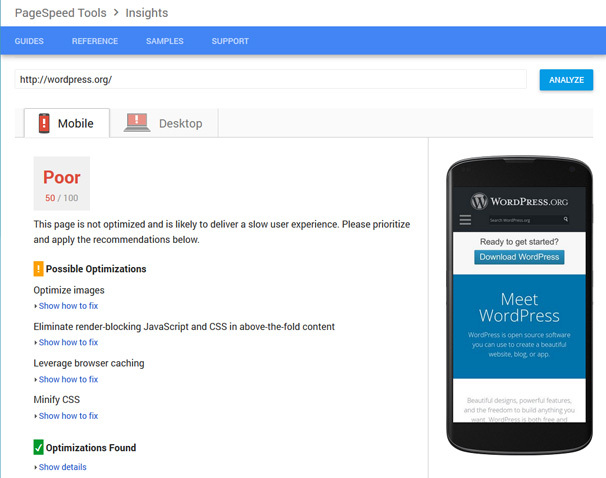 You can track the effect of plugins on your website by testing your website on Google’s PageSpeed Insights. If you run your website through this before and after every plugin you install, you will quickly be able to see if a plugin isn’t very good for your site as the speed will slow down when confronted with some bad coding. Another good tool to use to check how plugins may be affecting the performance of your WordPress website, is WP Speedster. It’s free to use, and will assess the quality of the theme you’re using as well as your installed plugins, so you can see if there’s anything on your website which needs to be changed. 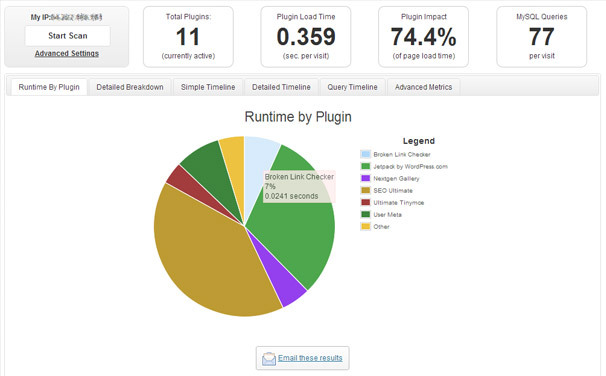 If you are not able to narrow down exactly which plugin is causing your site to be slow, you can try out the P3 Plugin ( Plugin Performance Profiler ) which works by creating a profile of all your site’s plugins so you can see exactly which ones are having the most effect on your site. Having additional plugins does mean additional HTTP requests coming through your site, but a good quality plugin won’t make a massive difference to the speed it takes to load these requests. This is why it’s important to make sure the plugins you use are coded well and high quality, rather than badly coded and poor quality. If you install a plugin onto your site which is poorly coded, you could be opening yourself up to security issues and the possibility of hackers being able to get into your website. Here is where the importance lies in making sure the plugins you choose are high quality, as the last thing you want is for the security of your website to be made vulnerable by something which you have installed. Due to the nature of an open source platform like WordPress where anyone can contribute a plugin to the large pool it already has, security is and historically has always been something which users must be aware of. However, a lot of the plugins which cause security risks are quickly updated or outperformed by better plugins doing the same function, so it isn’t as much of an issue now as it was a few years ago. Either way, it is always best to be aware of such possibilities, especially if you’re not sure whether a certain plugin is safe for you to use. One way to continuously make sure your plugins are safe, is by installing any updates that you’re alerted to quickly. It could be the case that some of these updates are bug fixes or security patches, so making sure your plugins are up-to-date at all times is very important. If you are using a managed WordPress host, they will usually automatically update your plugins and WordPress itself for you, they cost a little more than regular hosting companies though so you should decide if it’s worth paying more for peace of mind. There are plenty of highly regarded security plugins out there, which are built with the purpose to add an extra layer of safety to your WordPress website. Wordfence is the most downloaded WordPress security plugin, with over 22 million downloads to date. It starts off by checking if your site is already infected, so it’s a good plugin to have if your site security has already been breached. After that, it keeps your site secure with a strong firewall, login security, IP blocking, and ongoing security scanning. To protect yourself when security issues do affect your website, have a backup so that you can restore it quickly if something has gone wrong. Backup your site regularly as a precaution, as it’s better to be safe than sorry. You should be able to backup your site through your host, but there are plugins designed to do this for you should you need it. How to Choose Good Plugins? The best thing about WordPress plugins is that they all come with detailed information, so you can easily check how safe a plugin appears to be before you download it and install it onto your website. Make sure you know the purpose of all your plugins, so you don’t have two installed which are doing the same job. Remember, when installing plugins, it’s quality over quantity which wins in keeping your site secure and performing well. On every plugin description, you can see statistics and information which will help you to determine whether installing it is a good idea or not. Have a look at who the developers of the plugin are, check how active they are, and check to see how many other plugins they have developed and whether they come highly recommended. Read reviews of the plugin you’re interested in, as it is here you will be able to see what other people’s experiences were like when they installed it onto their website. You can also see what people have been discussing in relation to a particular plugin by looking on the support forum. If you are looking for a plugin to serve a certain purpose and there’s many of the same to choose from, the best way to get an honest account of how it works is by seeing what other community members have to say about it. Reviews and forum discussions will give you more of an insight than what the developers say about their plugin, and it will be on the reviews and forums where any potential issues will have already been highlighted. You can also see how many active installs a plugin has and how popular it is amongst the WordPress community on the main screen for the plugin, and you can also see when it was last updated and which version of WordPress it has been tested up to. A recently updated plugin is a good sign, as it means that the developers are still working on improving it and keeping it up-to-date with the latest version of WordPress. The question of how many WordPress plugins you should use is a debate which has been ongoing for years. As one of the most popular CMS’, and an open source platform with thousands of plugins designed specifically to improve your site and extend its functionality, lots of people have different experiences with the plugins they use. Plugins can affect your site performance and security, but only if the plugin is of poor quality. Adding bad code to your website can leave you vulnerable to attacks and can end up slowing your site down, so it’s very important to make sure you’re only installing good quality, well coded plugins onto your website. As with most things in life, quality is better than quantity, and this is certainly true when it comes to how many plugins you install. If you have twenty high quality plugins all serving a different purpose, you won’t see much of an effect on your website performance. However, if you have a few badly coded plugins, the results could have huge consequences for your website. Pick your plugins wisely. Understand what each of them do and why they’re there. It’s easy to get carried away and install lots of plugins when there’s so many on offer, but if you’re serious about making your website work then you need to be mindful of how it performs. Use tools such as Google’s PageSpeed Insights and WP Speedster to see how your website is performing and if any of your plugins have a black mark against them, and always read the reviews of any plugins you’re interested in installing onto your site. There is no lucky number when it comes to how many WordPress plugins you should use, only good quality coding and ensuring ongoing updates are completed. How many plugins do you have installed on your WordPress website? Have you had any problems with site performance or security being affected by a plugin you’ve installed? Let us know in the comments below. Great read! I just created my own travel blog and got confused with thousands of plugins when searching apps for security, pagespeed, and image optimizer. The more I searched, the more I was confused. Maybe I should just focus on which plugins I want to choose and read reviews as well as ratings carefully as your advices in the article. Thanks, Oliver!